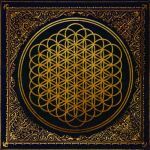 Between all the different influences and Oli's different sounding vocals, this band seems to have little resemblance to the one that released "There Is A Hell, Believe Me I've Seen It, There Is A Heaven. Let's Keep It A Secret". From my point of view, this can only be a good thing, because "There Is A Hell, Believe Me I've Seen It, There Is A Heaven. Let's Keep It A Secret" really suffered from lack of variation; the formula was pretty standard for the genre. Doing as they should, the singles actually made me interested in the whole product, and I did enjoy it.<br><br>Metalcore can often be a taxing listen. I wouldn't say it's because of the loudness, because lol I have volume controls. But often it lacks what I want to hear in music. But again, if you listen to "There Is A Hell, Believe Me I've Seen It, There Is A Heaven. Let's Keep It A Secret" there's little in the way of melody; at times the vocals and music don't seem to have any syncronisation between them. I'd be hard pressed to ever call it catchy. On this album you still get the loud crashing guitars, but it's easier to follow, and the back and forth with the vocals (particularly in "Shadow Moses") can be quite enjoyable.<br><br>The varied influences evident in this help not only because they give the album character, but they squash the possible notion that it all sounds the same, which by comparison could certainly be levelled towards "There Is A Hell, Believe Me I've Seen It, There Is A Heaven. Let's Keep It A Secret". So yeah, I enjoyed this album and am quite curious where they go next. Halleluja, BMTH haben Melodie. Danke.